LGS International Chiropractic - What Is Chiropractic? 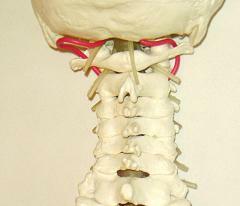 ﻿Chiropractic is a branch of healthcare that it focuses on the innate ability of the spinal and nervous system. It supports a good spinal structure and proper environment for the nervous system to function thus allowing the natural healing power of the body to heal itself. We call this "innate intelligence". An optimal functioning of the nervous system is an important part in supporting a good immune system, balance, and the overall health. Chiropractic uses a specific natural method to help improve the overall health. We refer this specific natural method as Chiropractic Adjustment. Other than chiropractic adjustment, the course of treatment may also include patient education on exercise, ergonomics, posture, nutritional advice, and lifestyle modification. As it mentions that chiropractic is a natural healing art, it does not utilize any medication or surgery. ﻿Our mission is to Love, to Give, to Serve, In Chiropractic to our patients. We are here to serve and help you to reach your optimal health potential.